The Super M is a powerful motor driven siren which emits a very high sound output. Designed for surface mounting, it has a separate mounting bracket which may be secured in position first to allow for easy installation. The Super M is ideal for applications where a higher sound output is required such as in areas of high background noise. – Motor driven sirens up to 127dB @ 1m (240V). – Weatherproof (when mounted with rotor end down). 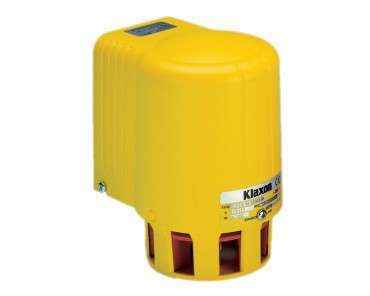 – Protection Rating: IP55 (when mounted with rotor end down). – Temp Rating: -30 to +45 degrees Celsius. SECXSM110 Super M, 110VAC/DC, 2.7A. SECSXM240 Super M, 240VAC/DC, 1.0A.